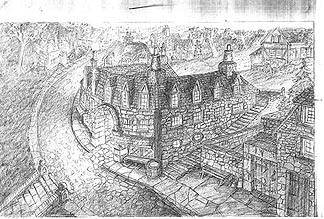 Tolkien sketch created in the year 2000 for the Tolkien years book. This scene dipicts the Prancing Pony. Pencil Rendered on a Xerox Copy. Signed by Greg and Tim.